Dr. Adam Sachs is the Director of Neuromodulation and Functional Neurosurgery at The Ottawa Hospital, Assistant Professor of Surgery in the Division of Neurosurgery, Associate Scientist at the Ottawa Hospital Research Institute, Member of the University of Ottawa Brain and Mind Research Institute, and Adjunct Professor of Systems and Computer Engineering at Carleton University. Prior to medical school, he completed a Bachelor of Science at McGill University in physiology and math, and a Master of Science at York University in applied mathematics researching mechanisms of human edge detection. During his neurosurgery residency at the University of Ottawa he participated in the Clinical Investigator program, performing neurophysiology and brain computer interface research in non-human primates. He was a Clinical Instructor in Functional and Spine neurosurgery at Stanford University from 2010 to 2012, where he was involved in human brain computer interface research. Chad did his doctoral research in brain-computer interfaces and adaptive plasticity in the Wolpaw Lab at the Wadsworth Center, SUNY Albany, NY USA. Chad then moved to Japan for 2 years as a JSPS Postdoctoral Fellow where he worked under Junichi Ushiba at Keio University investigating how trained control of brain signals can affect brain structure and function as assessed by magnetic resonance imaging and transcranial magnetic stimulation. 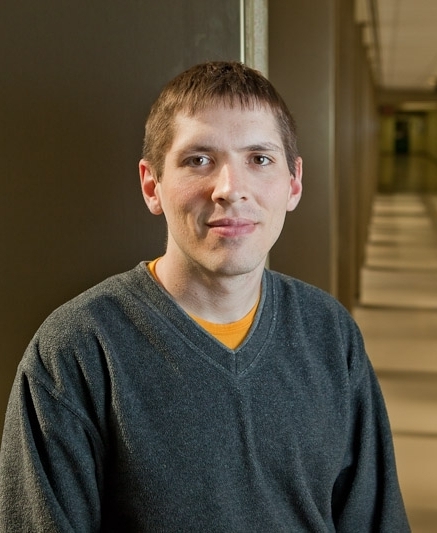 Chad joined the lab in December 2013 and is currently a Senior Research Associate. He is working on several projects including investigating how volitional control over pathological brain signals in Parkinson's Disease can affect parkinsonian symptoms, how goals and intentions can be decoded from the cortex and basal ganglia, and how real-time processing of brain signals can improve outcomes of brain surgery. David joined the lab in January 2015 and is pursuing a PhD in Engineering under the supervision of Adam Sachs and Adrian Chan at Carleton University. David is working on developing different signal processing and machine-learning methods to process the neurophysiological activity recorded during brain surgery. Alireza joined the lab in November 2017. He is a PhD student in Electrical and Computer Engineering at the University of Ottawa under the supervision of Dr. Adam Sachs and Dr. Jeongwon Park. His research is on developing signal processing and machine-learning methods to estimate the desired outcome of users (Non-Human Primates and Human subjects) controlling assistive communication devices using their online recording of brain signals. Michael completed his B.Sc in Biochemistry with Option in Microbiology and Immunology in Winter 2017 from the University of Ottawa. He joined the lab in Summer 2017 and is pursuing a M.Sc in Neuroscience under the supervision of Dr. Adam Sachs and Dr. Leonard Maler. Michael is investigating neurophysiological correlates by recording saccadic eye deficits and how pathological brain signals affect countermanding task performance in Parkinson's Disease patients. Michael is also working on Virtual Reality research in the development of experimental platforms for performing Brain Computer Interface experiments. Vinit joined the lab in January 2016 and is an Affiliate Investigator (Neuroscience) with the OHRI where he is collaborating and assisting with the laboratory's various research activities related to data collection and analysis during brain surgery. Vinit is currently working on applying computational neuroanatomical and brain mapping methodologies for deep brain stimulation (DBS) electrode localization and downstream integration with intraoperative electrophysiological recordings. Aidan joined the lab in Summer 2018 as a student intern, working under the supervision of Dr. Adam Sachs and Dr. Chadwick Boulay. Aidan is in his 2nd year studies in biomedical engineering at the University of Guelph. In the lab, he is assisting with projects and working with Michael Min Wah Leung on developing a Virtual Reality platform to run Brain Computer Interface experiments. Outside of the lab, he plays Ultimate Frisbee professionally.